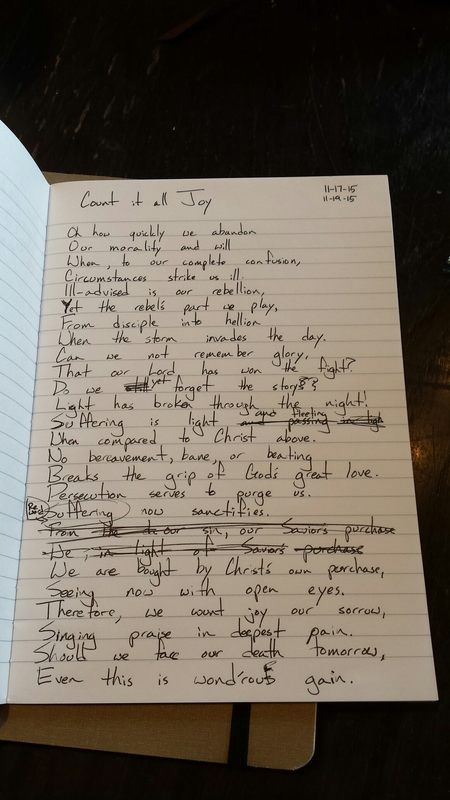 When I first began to try my hand at poetry, I practiced by writing poems based on random ideas from my friends. 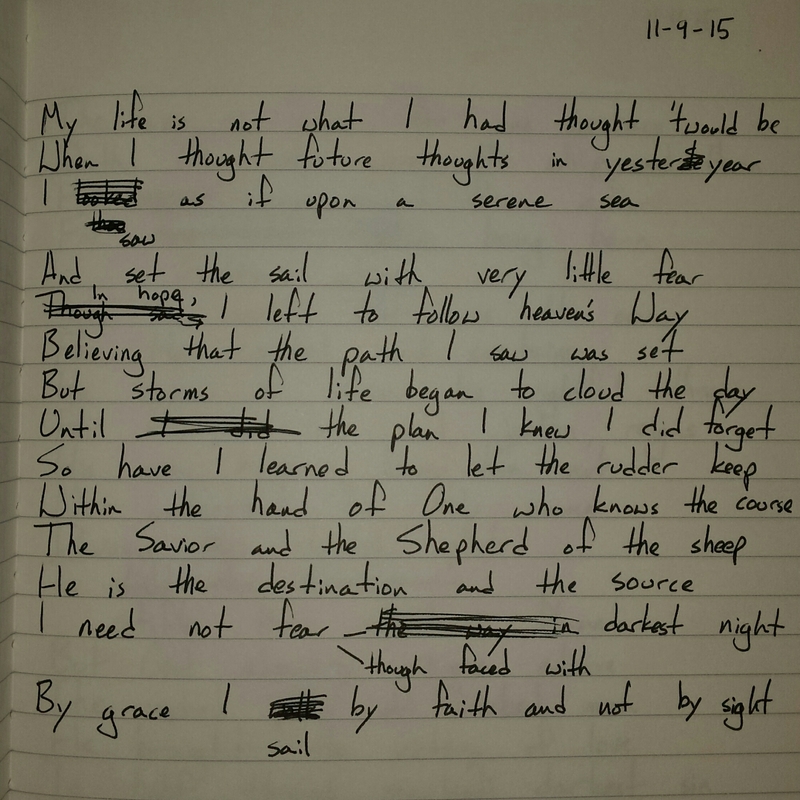 Because of school and work, I haven’t been able to write such a poem in a long time. 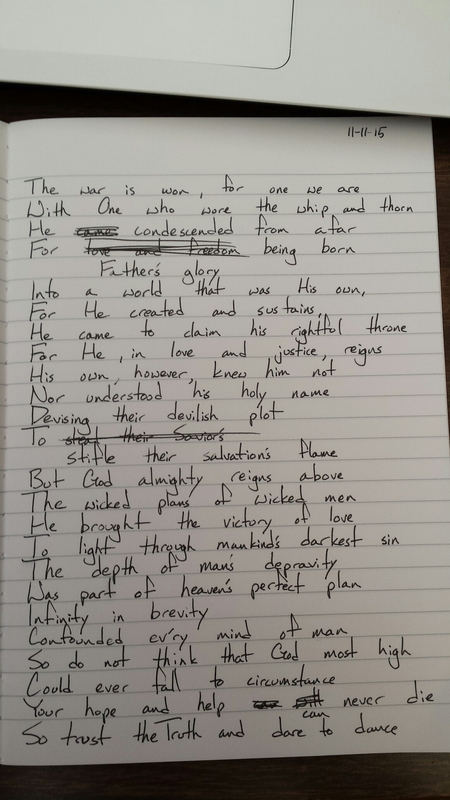 Today, however, my friend Dustin challenged me to write a spin-off poem of sorts, using the “rebel” idea from the last poem and placing it within the context of Star Wars. I had the time, so I accepted the challenge. I hope you like it! When I thought future thoughts in yesteryear. And set the sail with very little fear. Until the plan I knew I did forget. He is the destination and the source. I need not fear though faced with darkest night. By grace I sail by faith and not by sight. With One who wore the whip and thorn. For Father’s glory being born. For He, in love and justice, reigns. To stifle their salvation’s flame. The wicked plans of wicked men. To light through mankind’s darkest sin. Was part of heaven’s perfect plan. Confounded ev’ry mind of man. Could ever fall to circumstance. So trust the Truth and dare to dance. Let me learn to love your voice. Help me look to things above. Save me from the selfish choice. Show me how to walk in love. Lead me in the way of truth. Break me from the idol’s hold. Keep me from the lusts of youth. Make me, for your kingdom, bold. Help me keep my vision clear. 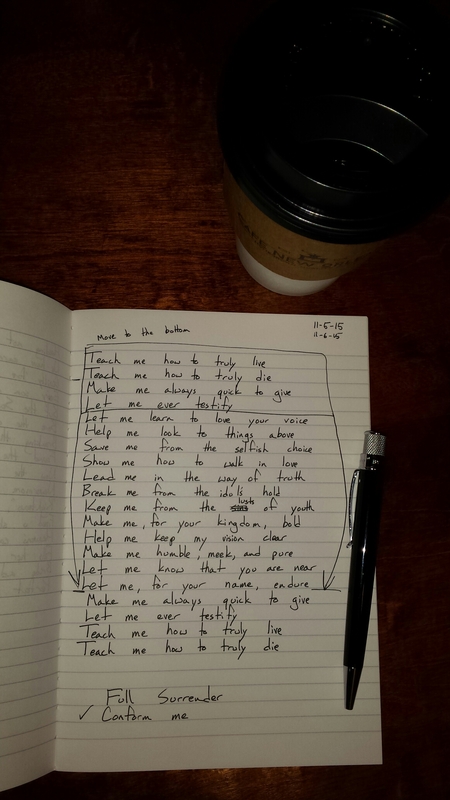 Make me humble, meek, and pure. Let me, for your name, endure. Make me always quick to give. Teach me how to truly live. Teach me how to truly die. I’ve learned to thank God for air conditioning after living my entire life in Louisiana. I’ve especially recognized how much of a blessing it is after it went out in the car a few weeks ago.